Wild sweetfish came all the way from Shimanto! 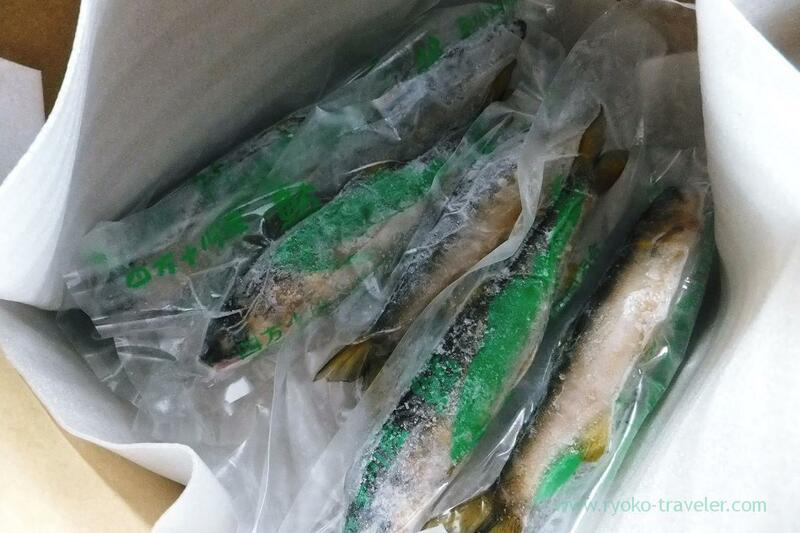 Wild sweetfish came all the way from Shikoku while I was in Shikoku ! Hometown tax system was enacted in 2009. By this system, we can donate part of our resident tax and income tax that should be paid to our living city originally to another cities that we like. But I hadn’t done it because tax returns procedures is really annoying. Originally this is the system for donating to our hometown and some places that have something to do with us. But now many places give donators to their special products like meats, fishes, crabs and so on. Anyway, I donated to Shimanto village of Kochi prefecture. They said they would send in October, but it arrived two weeks after I donated. While I was in Takamatsu ! They said they send from 4 to 7 sweetfishes. Actually, 6 sweetfish was in the box. Though those were rather small, it looked delicious ! Maybe this was the first time for me to meet wild sweetfish. 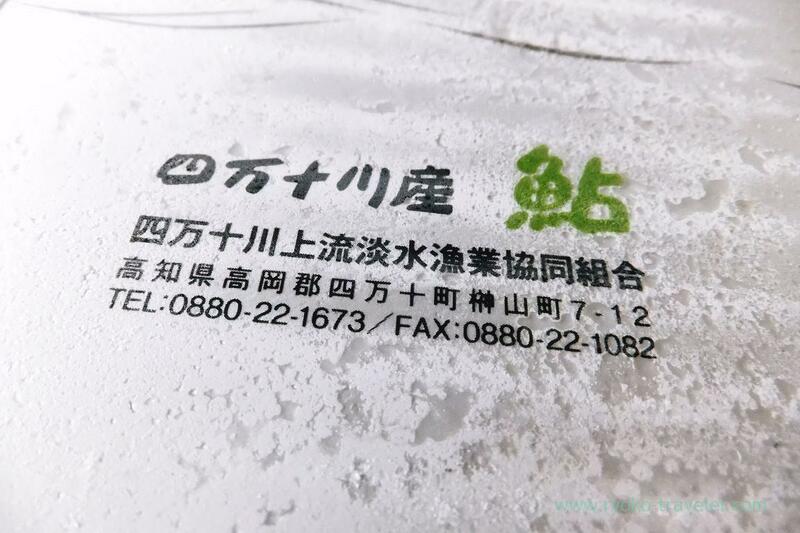 Wild sweetfish is now very precious and hardly seen at usual markets. Anyway, I cooked young sweetfish rice first ! 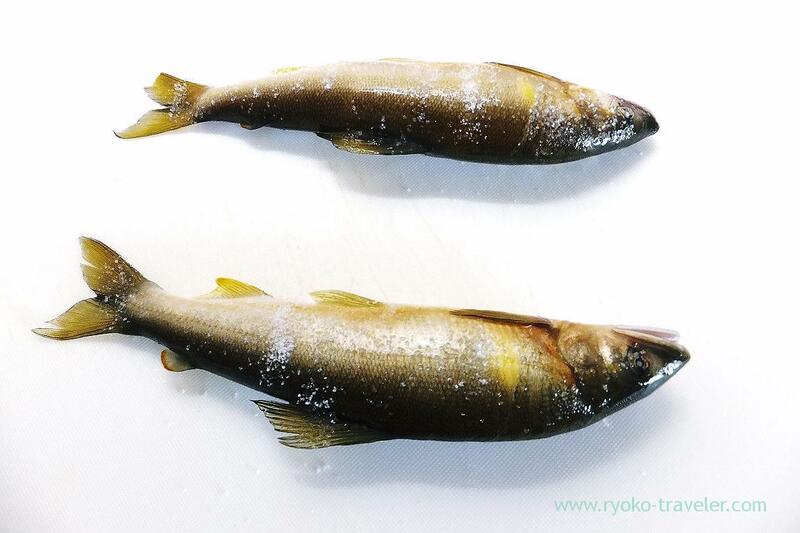 At first, I grilled young sweetfishes and then started to cook the rice with rice cooker. 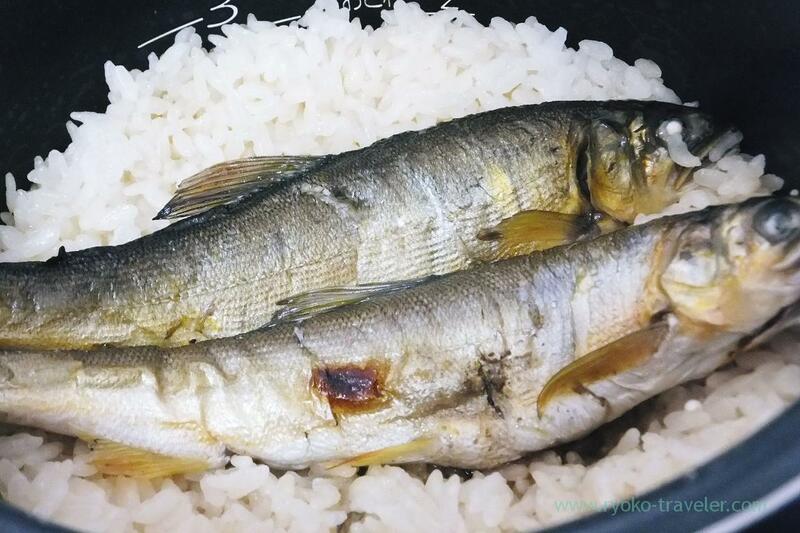 And after boiling, I put grilled sweetfish in the rice cooker. When I cook sweetfish rice, I use one sweetfish per a cup of rice. But, I used two sweetfishes for one and half cup of rice 😛 Gorgeous ! Needless to say, it was delicious ! The bitterness of sweetfish’s innards were great. I still have 3 wild sweetfishes ! I’ll cook it again !